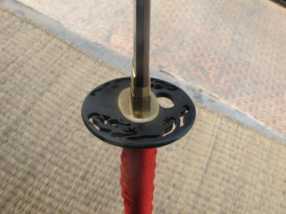 Model 026 of the Dojo Pro has a dragon themed classic iron sukashi tsuba and red ito on black rayskin handle wrap. 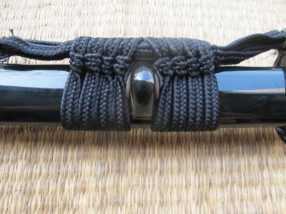 The saya (sheath) itself thick and made from quality wood - clear laquered which - along with the Kurikata and Kojiri, are made of hand cut and polished buffalo horn, finished off with a hard wearing length of black synthetic sageo (cord) so it can be secured to your obi (belt). 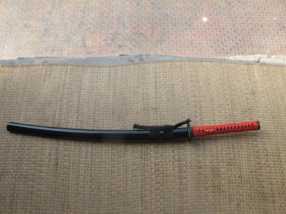 The second I received my katana I instantly felt a REAL connection with the soul of the sword. S.B.G. 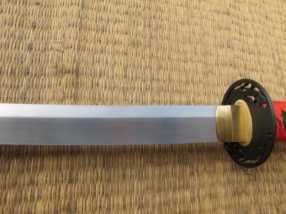 has restored my faith in a company that takes pride in making a REAL quality Katana. 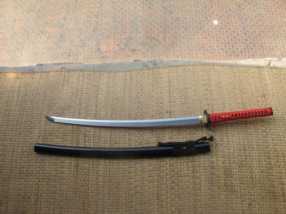 Not only is the quality unmatched for the price, but they delivered my katana faster than I could have hoped for! 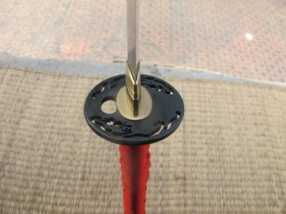 You have truly made a lifetime customer and I will be recommending S.B.G. to anyone looking for a DOJO ready sword. Stop searching...you've found the BEST!! !